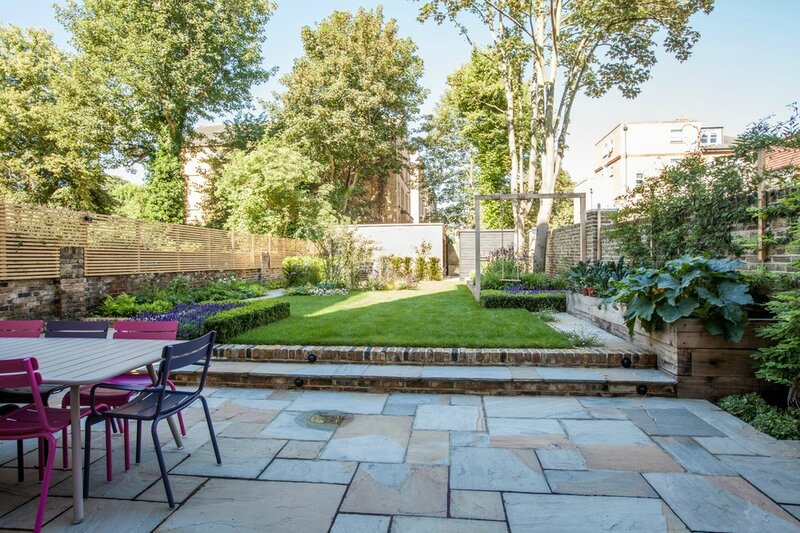 This is a large London family garden with a large lawn but also three seating areas, a very large entertaining and dining area, storage and raised vegetable beds. It also has an oak arch with two swings and two lavender parterres as the client wanted lots of lavender, one of her favourite plants and reminding her of her wedding venue. 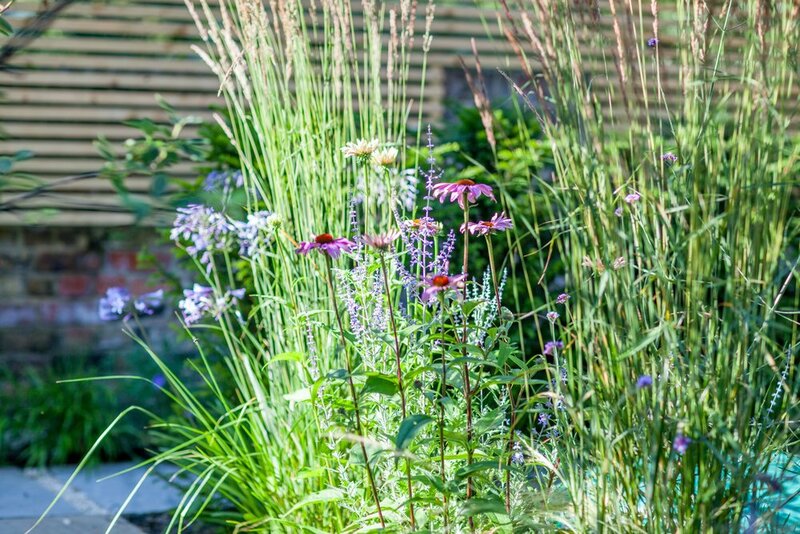 I also created a deck island in the middle of the garden surrounded with tall grasses and see-through tall perennials.